Delta IV lifted off from Space Launch Complex 37 at Cape Canaveral Air Force Station at 4:52 UTC, heading toward orbit using the most powerful cryogenic rocket engine in the world assisted by a pair of Solid Rocket Boosters which accelerated the rocket to the speed of sound in less than 45 seconds. The two boosters fell away one minute and 40 seconds into the mission and the first stage concluded its job at T+4 minutes, handing off to the RL-10B-powered Delta Cryogenic Second Stage. The mission headed into a pre-arranged news blackout at the moment of payload fairing jettison four and a half minutes into what was expected to be a six-hour flight to a Geostationary Drift Orbit requiring three firings of the rocket’s second stage. 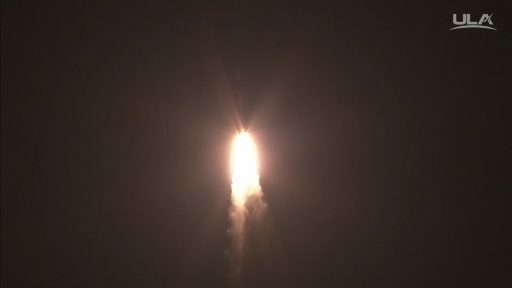 Confirmation of mission success was provided by ULA later on Friday after the two small satellites separated from the launch vehicle to enter their role as orbital informants. The U.S. Air Force program completed development in complete secrecy before being declassified in early 2014, though the exact capabilities of the GSSAP satellites remain classified. Built by Orbital ATK, the 700-Kilogram GSSAP spacecraft are based on the GEOStar-1 bus and host electro-optical imagers that can deliver photographs of GEO satellites at a resolution of a few centimeters. Those who have access to imagery of satellites in flight delivered by GSSAP describe them as nothing short of amazing, but the public is unlikely to get a taste of the photos for at least a number of years. The first two GSSAP satellites lifted off in 2014 and showed remarkable performance, according to the mission’s operators – allowing them to enter operational service months ahead of the planned schedule. Their moves around the 600 active satellites in Geostationary Orbit were not disclosed to the public and satellite trackers had a relatively hard time making out the small satellites roaming over 36,000 Kilometers above the equator. Nevertheless, the satellite tracking community was able to spot the two patrolling satellites on multiple occasions. 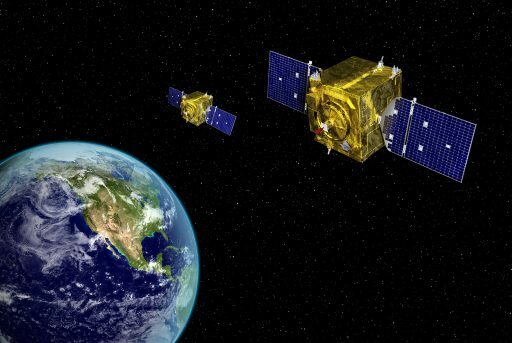 Ted Molczan, heading up a large community of satellite spotters, said the GSSAP satellites were seen flying in different configurations with one above and one below the GEO Belt, both below GEO, both flying in close formation or at great separation distance. It appeared that the operational arrangement was having GSSAP-1 drift below GEO at half a degree per day while GSSAP-2 was tasked with closer inspections, drifting slower and stopping frequently. 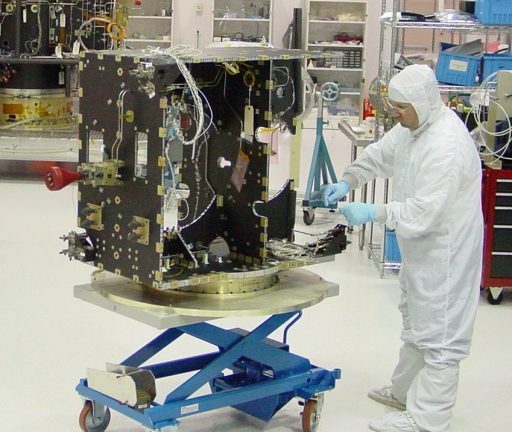 A recent endeavor of the GSSAP mission was helping out the U.S. Navy by collecting imagery of the troubled MUOS 5 satellite that launched in late June and suffered a failure in its main propulsion system halfway between its elliptical transfer orbit and the desired Geostationary Orbit. According to the U.S. Air Force, over 800 man hours went into planning the link-up of one of the GSSAP satellites that had to intercept MUOS 5 near the high point of its still elliptical 15,800 x 35,700 km orbit. No details were released on whether the photos of MUOS 5 provided clues on the failure mechanism suffered by the satellite. It remains to be seen where the GSSAP 3 and 4 satellites will operate from, reinforcing the Air Force’s eyes in the Geostationary Orbit Regime to help in the detection of conjunctions of resident GEO objects and the identification of any threats that may emerge in the new military frontier of near-Earth space. 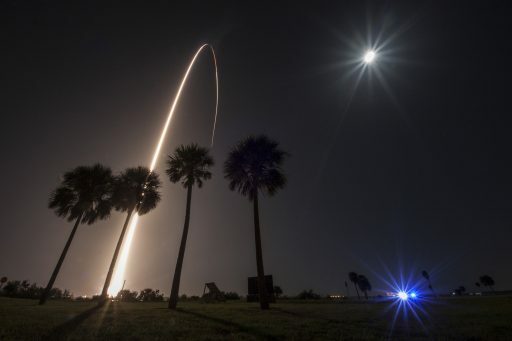 Delta’s midnight launch was preceded by an uneventful countdown that began Thursday afternoon with the retraction of the Mobile Service Structure from the 62.5-meter tall rocket, completed at around 6 p.m. local time to set up for several hours of close outs at the SLC-37 launch pad. RIFCA – the Redundant Inertial Flight Control Assembly incorporating all flight control and navigation functions, was activated for a thorough series of checkouts early in the countdown. 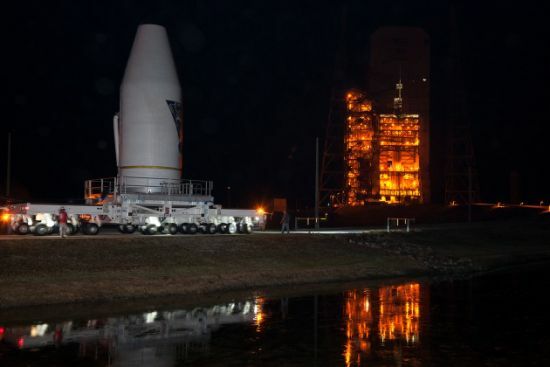 With weather taking the expected favorable trend and Delta IV in readiness for launch, controllers gave a GO for propellant loading operations after coming out of a countdown hold at T-4 hours and 15 minutes. A five-minute change to the mission’s launch time was made before clocks started ticking, taking advantage of a 65-minute launch window. 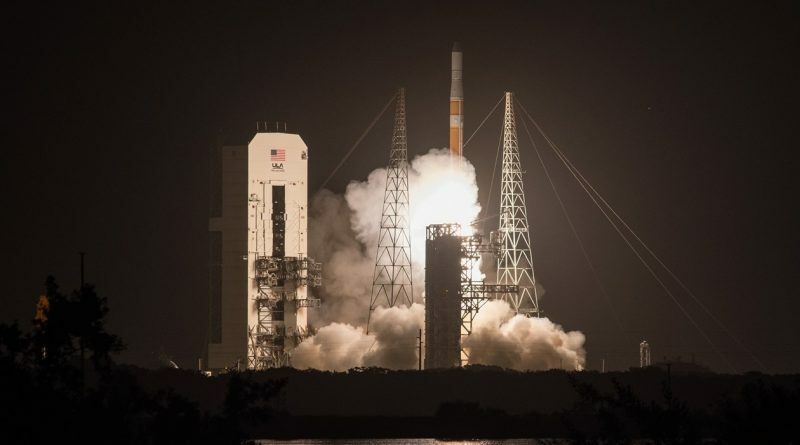 Heading into the last four hours of the countdown, Delta IV entered its multi-hour propellant loading sequence, facilitating the transfer of 223,300 Kilograms of -183°C Liquid Oxygen and -253°C Liquid Hydrogen to the two stages of the Delta IV rocket. Communication checks were run while propellants were being loaded and Delta’s engines went through steering checks at the L-1-hour mark followed by the upload of the appropriate flight software package in the last hour of the count. 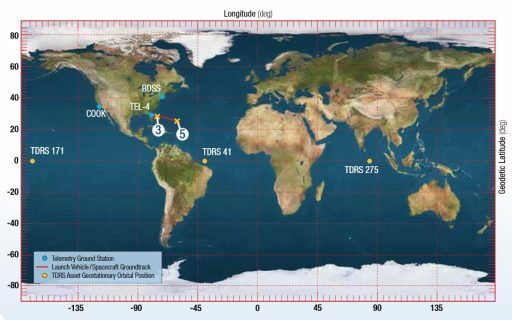 With all tanks at flight level and the two GSSAP satellites ready to go to internal power, the launch team completed a final poll – showing readiness by all support stations. 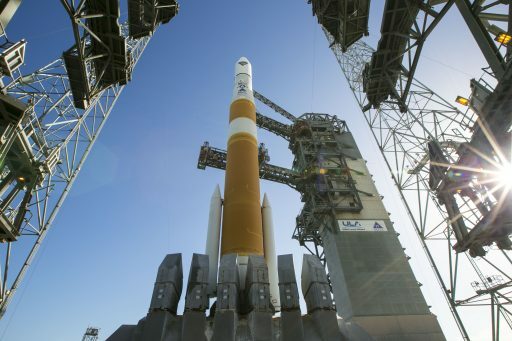 Completing a highly choreographed sequence taking four minutes, the 292-metric ton Delta IV switched to internal power, pressurized its tanks and enabled flight control systems, also arming its Flight Termination System. Red flames fueled by residual hydrogen released during ignition erupted from the base of the rocket in the typical fuel-rich ignition sequence of the Aerojet Rocketdyne powerplant. RS-68A – the most powerful cryogenic rocket engine in the world – soared to a thrust of 320 metric ton force, closely monitored by computers before Delta IV was committed to flight. Ignition of the boosters increased the rocket’s thrust to 565 metric-ton-force, making for a quick liftoff and initial ascent. 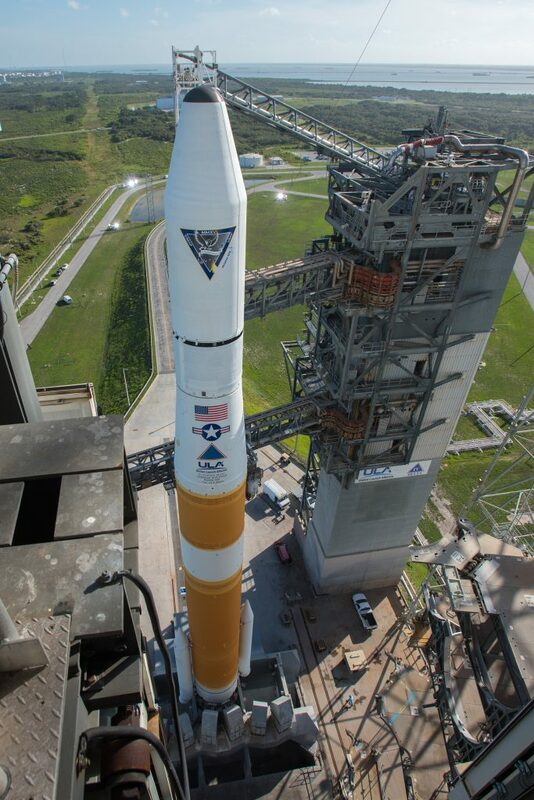 Burning 1,500 Kilograms of propellants per second, Delta IV balanced in a vertical posture for less than 15 seconds before initiating a pitch and roll maneuver to depart Cape Canaveral to the south east along the standard GEO flight path. The rocket broke the sound barrier 44 seconds after liftoff and encountered Maximum Dynamic Pressure 13 seconds later showing rock-solid performance according to the ULA launch team. The twin boosters burned out 93 seconds into the flight, dropping away seven seconds later after each consumed 30 metric tons of propellant to deliver the additional energy needed to achieve the target orbit. 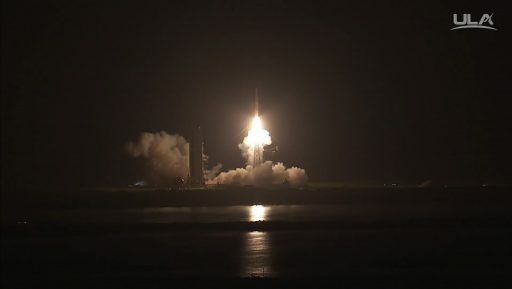 By T+2 minutes, Delta weighed less than half of what it did at liftoff, continuing to fire its RS-68A engine with a vacuum thrust of 363-metric-ton-force. Engine shutdown came three minutes and 57 seconds into the mission with stage separation eight seconds later. 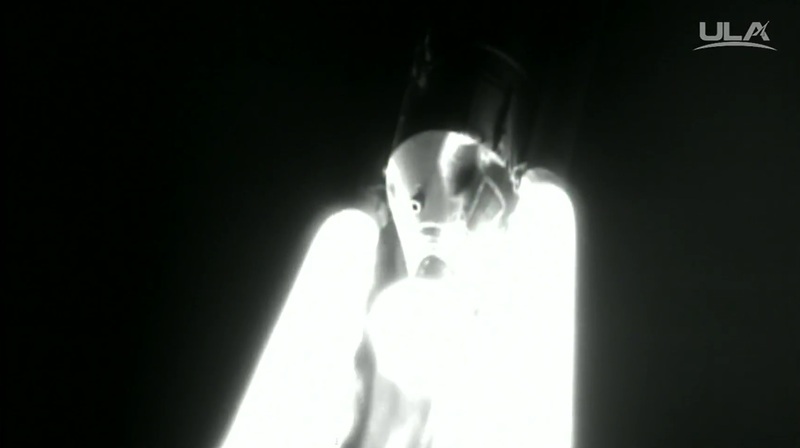 As soon as the spent first stage was clear, the RL-10B engine of the Delta Cryogenic Second Stage deployed its nozzle extension to get set for ignition 14.5 seconds after staging. Firing up for the first time, RL-10B soared to a thrust of 11,200 Kilogram-force on a burn to lift the stack into a Low Earth Parking Orbit. 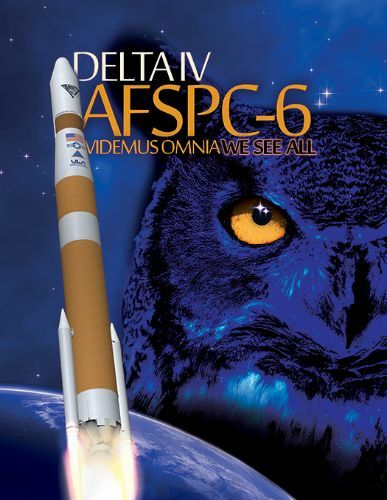 Payload Fairing separation was confirmed four and a half minutes after liftoff and Delta IV headed into its pre-arranged news blackout to allow the two GSSAP satellites to head into their hush-hush orbit without the public watching. Three firings will be performed by the second stage of the Delta IV rocket, first into a 265-Kilometer Parking Orbit where the vehicle coasts for around an hour so that the second burn can occur over the equator on the first ascending node of the mission, lifting the apogee to a position above the equator on the other side of the planet. Climbing all the way up to the high point of the orbit, Delta will coast five hours to set up for the circularization burn that also serves as a major plane change, reducing the orbital inclination to zero. If sticking to the profile similar to the first GSSAP launch, Delta IV will be aiming to inject the two satellites around 6.5 hours after launch into a Drift Orbit above GEO altitude, around 36,200 Kilometers over the planet. Friday’s launch marked the 375th launch of a vehicle named Delta, the 33rd of the Delta IV and the 14th in the Delta IV M+(4,2) configuration. For United Launch Alliance, the focus now shifts to the launch of NASA’s OSIRIS-REx asteroid sample return mission during a 34-day launch window opening September 8. 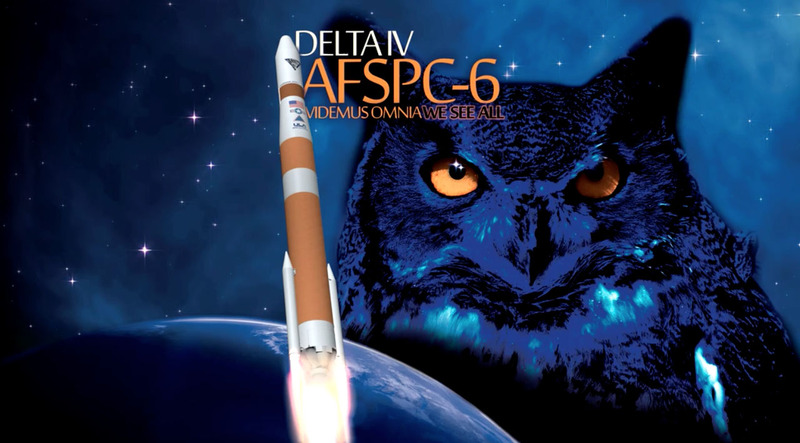 While OSIRIS-REx uses the Atlas V rocket, Delta IV will see action one more time this year when lifting the Wideband Global Satcom 8 satellite in October.